The third annual Politicon, called the Coachella of politics, drew elected officials, commentators and entertainers to the Pasadena Convention Center on July 29, 2017 to talk and laugh about politics. 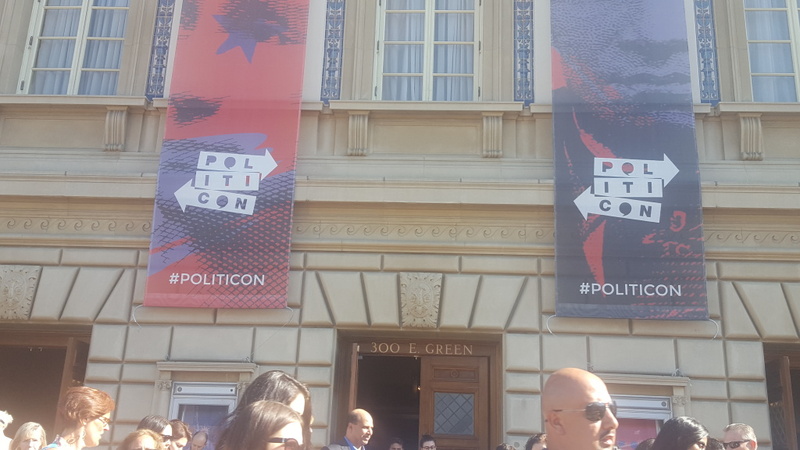 The third annual Politicon, the convention of political conversation and entertainment, got underway Saturday and runs through Sunday at the Pasadena Convention Center. A major headliner, Anthony Scaramucci, President Trump's controversial new communications director, pulled out last week following the revelation of a profanity-laced interview in which he disparaged White House colleagues. Still, political wonks flocked to the nonpartisan, Comic-Con style event that features panels, debates, podcasts and interviews on political topics and political comedy. This year, the schedule included a debate between conservative commentator Ann Coulter and liberal pundit Ana Kasparian, a conversation among the people behind HBO's "Veep," and discussions about what's next for Democrats and Republicans. 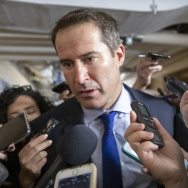 “We just took an action against Secretary DeVos at the Department of Education because she's pulling back against protections for women who've been assaulted on campus under Title IX,” he said. DeVos has suggested that Obama administration rules on investigating college sexual assaults have eroded the due process rights of those accused in the attacks. The conference ends on Sunday night.